The following information appears on the Old City Cemetery Historical Plaque in Galveston, Texas. Civil War Confederate Major General. These resolutions will on the day of their reception be read at the head of every regiment, battalion, and unattached company in the district. By order of Major-General Magruder: STEPHEN D. YANCEY, Acting Assistant Adjutant-General. March 6, 1863. GENERAL ORDERS, HDQRS. DIST. OF TEX., N. MEX., AND ARIZ., No. 56. San Antonio, March 30, 1863. JOINT RESOLUTION of thanks to General J. B. Magruder and others. RESOLUTION 1. Be it resolved by the Legislature of the State of Texas. That the thanks of the Legislature are hereby tendered to General J. B. Magruder and the officers and men under his command for the brilliant victory which they gained over the Federalists at Galveston on the 1st of January last. To Major O. M. Watkins and the officers and men under his command for their gallant conduct at Sabine Pass and the recapture of that fort and capturing the blockading vessels of the enemy; and to Major Daniel Shea and the officers and men under his command for their brave defense of the town of Lavaca; and to Major Hobby and the officers and soldiers under his command for the repulse of the enemy's attack on Corpus Christi, the commencement of our success on the Texas coast; and to Captains Ireland and Ware and the officers and soldiers under their command for their exploit in the capture of Captain Kittredge and his men near Corpus Christi; and to Captains Ireland and Willke and the officers and soldiers under their command for their good conduct in defeating the enemy's attempt to capture one of our vessels and in capturing his barges in the Bay of Corpus Christi; and to Capts. 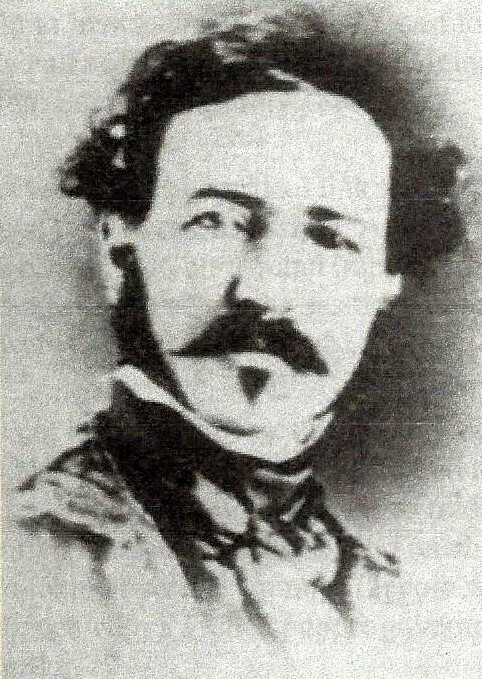 Santos Benavides and Refugio Benavides and the officers and men under their command for their vigilance, energy, and gallantry in pursuing and chastising the banditti infesting the Rio Grande frontier. RESOLUTION 2. That the Governor be requested to transmit a copy of these resolutions to General J. B. Magruder and the other officers mentioned, with the request that they make them known to the officers and men under their command. I, R. J. Townes, Secretary of State of the State of Texas, do hereby certify the above to be a true and correct copy of the original joint resolution as approved by the Governor, now on file in this department. In testimony whereof I have hereunto signed my name and caused the seal of the State Department to be affixed, at Austin, this 12th March, 1863. 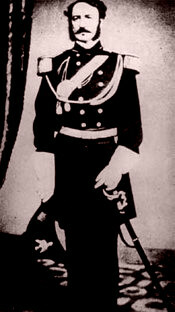 In 1864, Capt. James Ware received a letter from his superior, Col. Rip Ford, with directions for his new assignment as ordered by General Magruder. The receipt of your communication of January 6th is acknowledged. You will take command of all the forces at or near San Patricio which have been ordered to report to serve or which may be raised for my command, and remain in charge of them until you are relieved by a ranking officer or by my order. You will, as heretofore directed, muster companies into the service in pursuance Major General Magruder�s orders or for the war should any such present themselves. You will designate suitable officers to act temporarily upon your staff. You will make a report of the kind of arms and the number of each in your command and make a requisition for the orders and ammunition necessary for them. You will also make a requisition for stake rope for your command - allowing thirty six feet to the command. You will endeavor the necessary transportation and should you be unable to obtain it otherwise you will impress it in pursuance of Maj. General Magruder�s instructions. You will explain to the people the great public necessity requiring them to aid their country in the arduous struggle for liberty, that should they withhold assistance and cause the expedition to fail they will but reserve their wagons and teams and other property for the countless invading who have come to rob and enslave us - that the man who refuses to lend his services or the use of his property to the South in this perilous crisis cannot be a friend to our cause. You will appeal to the patriotism, the generosity, and the gallantry of the people. I shall ask Maj. General Magruder for your company and that of Lieutenant Bass. You will order Captain Rabb and Captain Dotey and other officers with their commands to report to you for duty. In short, I expect and authorize you to do all I could or would do if I were on the ground. Captain Cater�s company will make a forward movement during the present week - Captain Littleton�s also. Captain Giddings will follow within a few days. I shall leave for Fort Merrill at the earliest possible day. Lieutenant Colonel Dickinson will accompany me. He desires to be presented in the kindliest manner to yourself, Captain Richardson, and Captain King. Keep me advised of everything by couriers. Tell Richardson, King, Rabb, O�Callaghan, and all my old friends to put their shoulders to the wheel - to work with body, mind, and soul for their homes, their protection of their families against insult and outrage, and for the consecrated rights of free men, and for a cause that is holy. Fearing they might be hung for treason by Union occupation forces after the war ended, James was among a group of officers (like General Magruder) who fled to Mexico and worked for Emperor Maximilian until such time as they could learn the terms of the amnesty. News traveled so slowly to Texas that the soldiers who were serving there were not even aware that Lee had surrendered until several weeks after the historic event occurred at Appomatox. 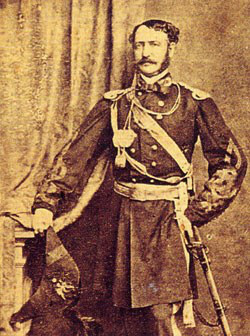 Texans fought at the Battle of Palmito Ranch on May 12, 1865, even though Lee officially surrendered on April 9, 1865. These soldiers had no idea under what terms the surrender had been signed and would not know what the future held for them for quite a while. 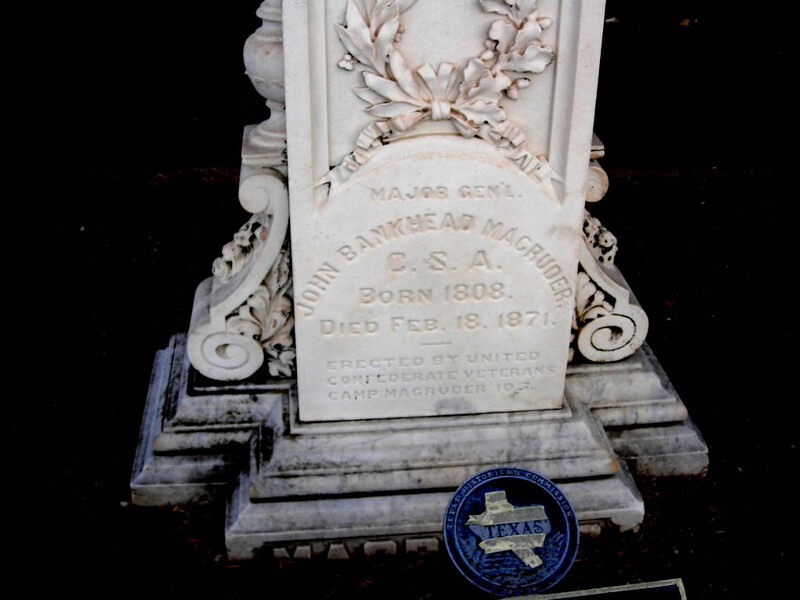 Both James Ware and John Magruder later returned to Texas. 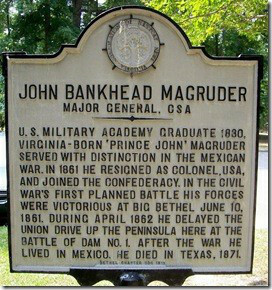 General John Bankhead Magruder died at the age of 63 on February 18, 1871.